NEW -"Made in U.S.A.", 1935-1953 Indian Chief, 1934 - 48 Sport Scout, 741, 640 Military, 648 Scout, Transmission, Slider or Cluster Gear. plus $16 shipping in U.S., $47 shipping to Canada, $77 shipping overseas. 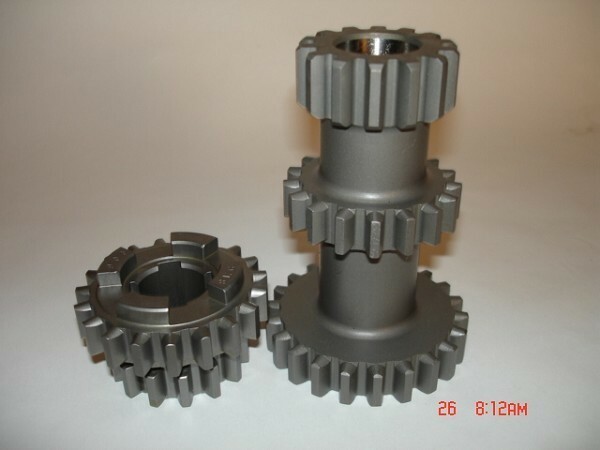 All of the gears we have ever sold, are made & heat treated here in the U.S. While it is not absolutely necessary, we recommend replacing both the Slider & Cluster Gears together, to not do so is like putting a used chain on new sprockets, you just won't get as much use from them.